I have been travelling on my own for almost two decades now. And trust me, I have rented many cars along the way! Especially here, in Spain, to travel extensively around the country. 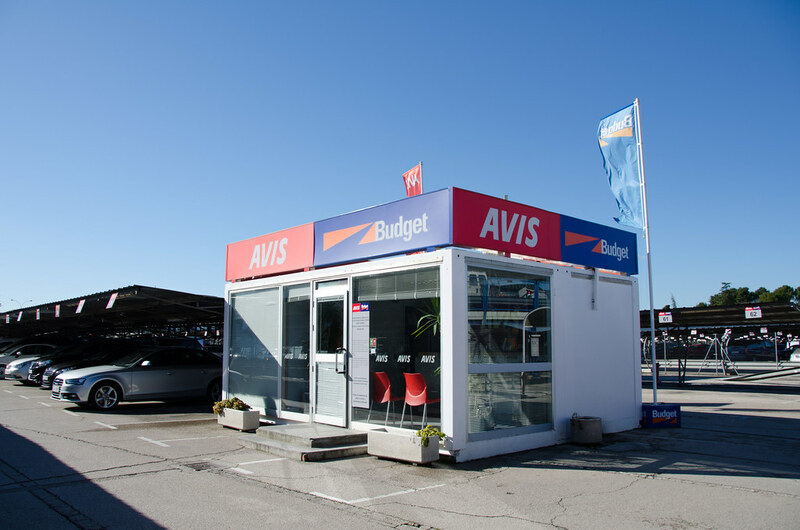 After many adventures and experiences, I can give you some great car rental advice to help you find the best prices and save money on your next road trip around Spain. And here you have a complete guide on where to book your rental car online. You can get cheap car rental rates booking as early as you can. Last minute rentals and high season bookings will usually cost you much more. So if you find a great rate book it immediately! Car rental prices fluctuate like airline fares: if you miss it you might not find it anymore. I know. It’s very time consuming but in the end you’ll get a reward. Actually, it’s the best way to find cheap car rental rates. You have two methods to fulfill this task. 1. Spend endless hours finding the best rental car on your own. The first one is a classic. Grab a piece of paper, a pen and go to the websites of your favorite car rental companies. Select the city, dates, time and type of vehicle. Check the websites one by one. Write down all the quotes you get and pick the lowest one. 2. Use my favorite broker and let them work for you! The second one is using a booking site or a car rental search engine. They usually gather the rates of a lot of companies and get a commission if you book with them. They are very useful because they compare the rate of several companies for you. After many years traveling by car both around Spain and abroad, I find that this is the best method in terms of price and availability. And for the past few years, I’ve been using the same exact broker. Since I started using them I have never had to worry about anything other than driving safely. Save your time and use my favorite car rental website! There are many ways to get a rental car coupon or a rental car discount code. If you are a member of a program (e.g. frequent flyer, hotel chain, etc.) or an association, check the newsletters because they generally include great offers. You can contact the programme or association as well. Cheap car rental rates coupons can also be found at the companies’ websites. Finally, you can also check specialized coupon & discount code websites. Have a look at codigos-descuento.com (for discounts in Spain) or codes.co.uk. When looking for cheap car rental rates, find out the company’s pricing policy. Some rental companies use calendar days while others apply a 24-hour pricing. In the first case, the company will charge you a full day no matter the time of the day you pick up and drop off the car. For example, if your pick up is April 2nd at 9:00 and your return is April 4th at 9:00 you’ll be charged for 3 days. If your return is April 4th at 13:00 you still pay for 3 days. In the second case, you pay per hour without noticing it. Now, on the example above, if your return is at a different time you’ll be charged an extra day. So, if your return is April 4th at 13:00 you’ll pay for 4 days. You can try to ask the car rental agency if it is possible to keep it a few extra hours for free but be careful because low cost companies might say yes and then try to charge you for them! A common car rental strategy is to give you a full tank of fuel that you must pay for upfront, but you’re told to return it empty. There’s no refund for unused fuel. The amount firms charge upfront for fuel can be considerably more per liter than local prices. Therefore, if you opt for pick up full, return full, make sure the tank is full when you return it. Otherwise, you’ll have to pay an incredibly high charge to top up the remaining fuel needed. The best companies offer ‘full to full’ or ‘part-full and return as you found it’ policies, meaning you’ll only pay for the fuel you use. This is because you either get it full and return it full, or return it with the same amount of fuel as when you picked it up. For instance, cleaning fees charged at the end of the hire period. Sometimes these can be applied for minor differences in the state of the car between picking it up and returning it. Sometimes companies try to convince you to keep the car for a longer period because you’ll get a lower per day price. Bear in mind that if you take any extra (better insurance coverage, additional driver, etc.) you need to add up all those costs to make the final bill. A large percentage of the rentals occur from Monday to Friday due to business travel. Car rental companies may offer you better rates during weekends. However, make sure you ask to the staff what a “weekend” is. Discounts may start on Thursday afternoon instead of the morning, and end on Monday instead of Sunday. Don’t book a car with a satellite navigation system (TomTom or any other device). If you’ve a smartphone with GPS such as an iPhone, there is a cool way to use it as a sat nav abroad, with local maps, for free. And you won’t need any pricey data plan overseas.